While there are quite a few excellent compact ultrabooks out there, many of you still prefer full-size laptops with large screens and enough power to smoothly handle daily tasks, workloads, and games. However, I’m pretty sure you wouldn’t say no to a full-size laptop that’s actually thin and light, as long as it still meets the requirements and falls within the right budget. We’ve tested most of the laptops available in stores these days, of all kinds and from all brands, and in this article, we’ll tell you which are in our opinion the best 14 and 15-inch ultra-portable laptops you can buy. business notebooks and workstations – computers built for the hassle of corporate environments. You can go through the entire post for the complete picture of what’s available out there, or just read the subsections of interest. You’ll find a selection of units in each of them, enough to accommodate all demands and expectations. 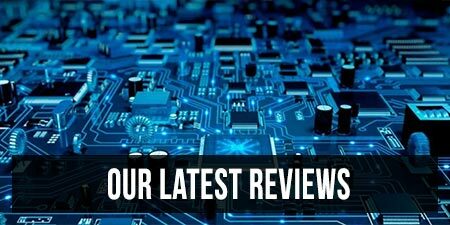 You’ll also find links towards our detailed reviews and links towards Amazon pages, where you can find user-reviews and updated configurations/prices for each specific model. Keep in mind that some of the products that might initially look outside your budget might actually sell for less at the time you’re reading the article, so those links are definitely worth a look. This section includes portable all-around laptops with traditional form-factors, computers with modern specs and features, but with a focus on the thin-and-light form-factor. There are many good options and that’s why we listed our recommendations below, with only a few of their important traits and links to our detailed reviews and articles where you can find more about them. If you’re not interested in an ultraportable notebook, we’re going to cover high-performance gaming models, convertibles and budget notebooks in further sections. LG Gram 14 – thin-and-light notebook, Core U hardware, Intel UHD 620 graphics, IPS matte screen, minuscule bezels, 60 Wh battery, ultra-light at 0.99 kg / 2.19 lbs, good price. 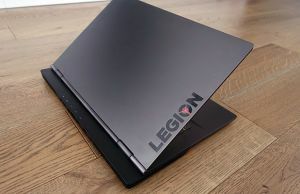 These aside, if gaming is not on your interests list and portability is an important criterion, you should definitely consider the existing 13-inch options on the market, as well as some of the good business ultraportables that some may prefer as daily-drivers, if the budget allows, like the Dell Latitude 7490, Lenovo ThinkPad X1 Carbon or the Thinkpad T480s, which we’ll cover in-depth in a further section. The choice of a full-size 15-inch multimedia notebook is a bit more difficult, but most options can be split in two camps: More Portable/ Less Powerful and Less Portable / More Powerful. Xiaomi Mi Notebook Pro – Core U hardware, Nvidia MX150 graphics, IPS FHD matte screen, small bezels, metallic build, 60 Wh battery, 1.95 kg / 4.3 lbs, more affordable than most alternatives. Lenovo ThinkPad X1 Extreme – Core H hardware, Nvidia 1050 Ti Max-Q Graphics, matte FHD or touch UHD screen, standard ThinkPad looks, features and construction, 2x TB3 and dual-storage, 80 Wh battery, starts at 1.75 kg for non-touch version. The devices in this section can handle games and most other demanding chores that require a powerful CPU and GPU. We’ve split them into two categories, those that offer the best performance for your buck, but with little fluff and fancy features, and the nicer more compact options with modern features, but with matching price-tags. In this section we’re not going to care much about size and portability, but rather look for value, the best performance and traits we can get for our money. There are many good variants you can consider, and we’ll only mention the better options and link to our detailed articles and reviews for in-depth analysis. At around $700 to $900, your attention should turn towards the Acer Nitro 5, Asus Vivobook Pro N580 and TUF Gaming FX505, or the Lenovo Legion Y530, fairly compact full-size laptops with Core H and GTX 1050/1050Ti graphics, IPS screens, backlit keyboards, proper IO and averagely sized batteries. These computers can handle taxing loads and FHD gaming with medium/high settings, but you’ll have to up the budget if you’re after configurations with an i7 processor, more RAM, and dual-storage, and also look into reviews to find out more about each unit’s performance, thermals and various quirks. There’s an ampler list of GTX 1050/1050Ti laptops in this detailed article. At around $1000 you can reach for GTX 1060 powered laptops with improved gaming abilities, but the cheapest variants include i5 processors with little RAM, have rather dim screens and not necessarily the most appropriate cooling implementations for this kind of a GPU. Devices like the Lenovo Legion Y530, Dell Gaming G7 or the Acer Aspire 7 should be on your list here. There is however better value in the mid-range segment of GTX 1060 laptops, with nicer builds, brighter screens with high-refresh rates and small bezels, improved configurations, adequate cooling, and larger batteries. The Acer Predator Helios 300 and Xiaomi Mi Gaming are some of the most affordable options here, or you can step up to the Lenovo Legion Y730, Alienware 15, Asus ROG GL504, MSI GE63 Raider or some of the existing Clevo/Sager/Schenker bare-bones. More about all these options in this article. You could also look into the existing GTX 1070 laptops if you’re an enthusiast gamer, but the 15-inch versions are rather expensive and that chip makes more sense inside a 17-incher with extra space for cooling. You’ll find a detailed list of 15 and 17-inch GTX 1070 laptops in here. If size and weight matter and you’re willing to spend extra for a more portable computer, there are a lot of nicer laptops for you out there. We’ve covered this subject in-depth in this article, so we’re not going to reiterate it here again, just follow the link for the available options and our recommendations. In very few words though, our top picks at the time of this latest update are the Gigabyte Aero 15X, Razer Blade 15 and Asus Zephyrus M. You’ll find out why from here. On top of that, this list of portable notebooks built on Nvidia’s Max-Q architecture specifically designed for thin-and-light performance laptops might also come in handy. We’ve covered this topic in-depth in a different dedicated article that you should check out if you’re primarily interested in a 2-in-1 laptop, but we’ll also mention the better 14 and 15-inch options with convertible touchscreens in this section. Lenovo Yoga 730 – 15-inch convertible with FHD touchscreen, mid-quality panel; Core U hardware and GTX 1050 graphics, but with some performance issues; TB3; 52 Wh battery; fairly compact and well built – 1.8 kg/4.2 lbs; competitively priced. Samsung Note Pro 9 15 – 15-inch convertible with FHD screen, good panel; Core U hardware; 54 Wh battery; well built, but not as nice as the other options; compact and light – 1.7 kg/3.7 lbs; fair price. 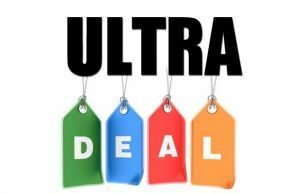 This section includes the best large-screen all-around laptops you can get for under $600, devices capable of handling everyday tasks and even games, to some extent. Expect to get good specs for the money, but don’t expect premium builds, excellent craftsmanship or fancy features. If you want a simple, fast and inexpensive computer for daily tasks and especially Internet-based activities like browsing, movies, music, email or document editing, you should consider these Chromebooks. 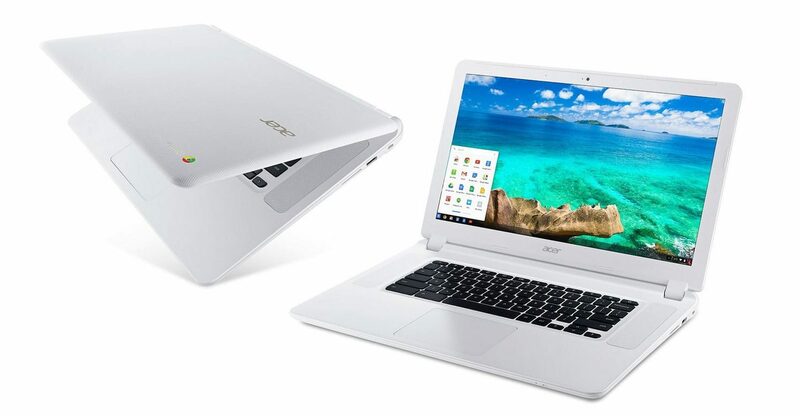 The Acer Chromebook 15 is the most affordable option, going for around $250 to $300. This kind of money will get you a fanless Celeron hardware platform, 4 GB of RAM, 16 to 32 GB of storage, a 15.6-inch IPS FHD screen and a rather small 32 Wh battery, yet enough to keep this going for around 5-6 hours of use on a charge. All these are tucked inside a rather chunky body that weighs 4.8 lbs, with plenty of ports on the sides, front-facing speakers and a fairly good non-backlit keyboard. An updated version with a slimmer and lighter construction and updated hardware is also available, for a little under $400, but for most, there’s probably better value in the cheaper variant. Follow this link for more details and the latest pricing updates. Overall, the Chromebook 15 is one of the simplest laptops that actually work well, as long as you understand exactly what a Chromebook can and cannot do. The 14-inch Chromebook is a more compact and more premium device. The latest model gets an aluminum chassis and a more portable build (weighs 3.4 lbs), upgraded hardware, a 48 Wh battery that delivers around 8 hours or real-life use on a charge, a backlit keyboard and glass trackpad, as well as an IPS FHD screen with optional touch. Older versions are a tad larger and don’t get the backlit keyboard. The Acer Chromebook 14 starts at $349, making another excellent buy for those on a really limited budget, and the older variants sell for under $300. Follow this link for more details, user reviews, and the latest prices. This section includes full-size Windows laptops that sell for under $600 and can handle everyday use, multitasking, and some light gaming. As a general rule, at the time of this post I would recommend buying a laptop built on a latest-generation Core i3/i5 processor, 8 GB of RAM and if possible, SSD storage. You’ll also find a fair bit on devices with Pentium/Celeron processors and just 4 GB of RAM, but those CPUs are rather slow and that amount of RAM is hardly enough for modern browsers and multitasking, that’s why I advise getting a Core i3/i5 CPU and 8 GB if you plan to keep the laptop for a few years. There are also a few interesting AMD powered options out there to consider, but towards the upper price limit of this section. As far as the storage goes, an SSD is going to make your laptop much faster than if it came with a regular HDD, but you can settle for an HDD if an SSD configuration is outside of your budget, as you’ll be able to upgrade that in the future, if you want to. With all these in mind, all the major OEMs offer a computer in this segment. 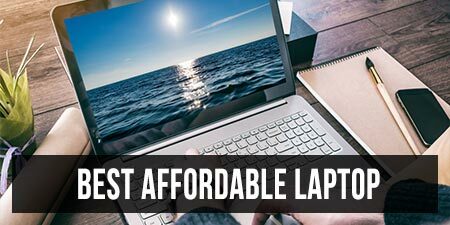 In the around the $400 budget you’ll find Core i3 laptops with 8 GB of RAM, HDD storage, HD screens with TN panels, rather small batteries, and mostly non-backlit keyboards, in devices like the Lenovo IdeaPad 330, Acer Aspire E15 or the Dell Inspiron 15 3000 series. At around the $500 mark you’ll find slightly more powerful laptops with Core i5 hardware, IPS screens and backlit keyboards, both in upgraded configurations of the lines mentioned earlier, but also in devices like the Asus VivoBook series, Acer Aspire 5, Dell Inspiron 15 5000, Lenovo ThinkPad E series, the HP Pavilion 15 or the premium Asus C302 2-in-1 Chromebook. And then if you’re willing to spend around $600, at this level you’ll find laptops with nicer and smaller builds, bigger batteries, SSD storage, optional Nvidia MX150 graphics and a few options with convertible touchscreens. Follow this link for a longer list of good laptops in the $500-$600 range, with updated prices and user reviews. Business notebooks are either workstations with powerful hardware, designed for heavy workloads on the go, or all-rounders with simple aesthetics, sturdy builds, excellent keyboards and features like vPro, TPM, LTE connectivity and fingerprint-readers. These are mostly meant for business environments, but you consider them as daily drivers as well, if they meet your requirements and fall within your budget. There are a few different models to consider among the many business all-rounders, and we’ve listed them below. 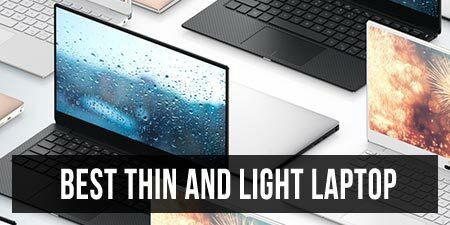 We mostly recommend 14-inch notebooks in this section, due to their increased portability and reduced weight, but some of these are also available with 15-inch screens in case you just want a larger display. Asus Pro P5440 – more details – thin-and-light laptop with MIL-graded magnesium build, an excellent keyboard, a matte IPS screen, punchy speakers a the performance to handle daily activities. Gets a 50 Wh battery, complete IO (without TB3 though) and is overall more affordable than the competition. Lenovo ThinkPad X1 Carbon – more details – review – the X1 Carbon has the looks, the build quality, the performance, the keyboard and the screen required from a top-of-the-line ultrabook. The latest generation gets a traditional form-factor with a thin-and-light 14-inch body, compact bezels and a total weight of just 2.5 lbs. Previous versions were 2-in-1s, which is now a feature of the ThinkPad X1 Yoga line. You’ll have to make very few compromises with these laptops, and the limited IO and rather mediocre speakers are two of them. The X1 Carbon is however expensive, with the base configuration starting at around $1250 and beefier versions getting close to $1700-$1800. Lenovo ThinkPad T480 – more details – this is Lenovo’s standard clamshell business notebook and bundles the hardware and the features you’d expect from a work-computer, as well as a huge up to 96 Wh battery. The T480 is slightly chunkier and heavier than the other options in this selection, starting and 3.5 lbs and going to about 4 lbs for the 96 Wh battery variant, but is also more affordable, starting at around $800 for the basic models. Lenovo ThinkPad T480s – review – the more portable version of the T480, weighs 2.95 lbs, gets a 57 Wh battery, is thinner and starts at $1200. Dell Latitude 14 7000 – more details – Dell’s alternative for the Lenovo T400 lines, these laptops are highly configurable and top tier models include bright FHD screens with matte IPS panels, good IO, the latest Intel Core U hardware and a 60 Wh battery. The Latitudes are on the pricey side in most regions. HP EliteBook Folio 1040 series – more details – a design change from most other business laptops, these get an aluminum unibody construction, but with similar build quality and sturdiness. They are also available multiple configurations and include an excellent keyboard, multiple matte or touch screen options, modern Core U hardware and a 67 Wh battery in a compact shell that weighs around 3.2 lbs. The EliteBook Folios are also on the pricey side. You should also check out this post for more options on business ultrabooks with internal 4G/LTE connectivity. 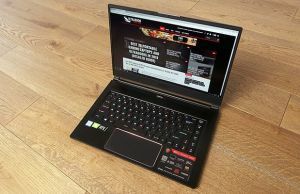 MSI WS65 – workstation variant of the MSI GS65 Thin, with the same build and characteristics, but up Core i9 processors, 32 GB of RAM and Nvidia Quadro P4200 graphics. There you have it, these are some of the best 14 and 15-inch ultrabooks you should consider these days. 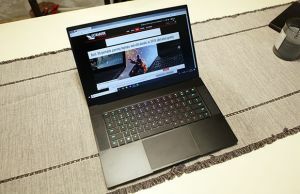 They are thinner and lighter than most regular laptops, they offer the performance required by your daily activities and more (multimedia, games, demanding software), and they last for quite a few hours on each charge. You’ve got plenty of options to choose from, with or without touchscreens, with or without dedicated graphics, with premium metallic bodies or more affordable price tags. So if you do want one of these large-format ultrabooks, you should find one in this article. my selection on affordable ultraportables that sell for under $1000. 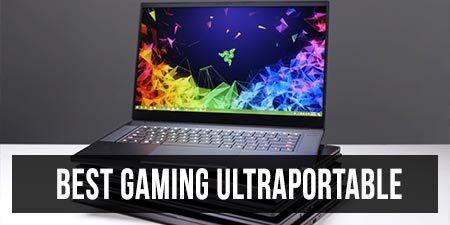 I’m constantly updating this list of the best 14 and 15-inch ultraportables and I’m also here to reply to your questions and help you in any way possible, so if you do want to ask something or add to the post, get in touch in the comments section below. Andrei Girbea, Editor-in-Chief of Ultrabookreview.com. I've been covering mobile computers since the 2000s and you'll mostly find reviews and thorough guides written by me here on the site. Wow that is a lot of work you have done to build the lists and maintain them. I will keep an eye on here, looking for just the right fit for me. Unfortunately it is a challenge but I expect that soon there will be a system to fit so I will just check back regularly. At the moment I am looking at the ASUS B9440, LG GRAM, ASUS Zenbook 3 Delux UX490UA, Lenovo Yoga 910. None fit everything but they are getting there, so please keep up the great work you are doing. Thank you for focussing on weight. Now that most airlines stipulate laptops in luggage, weight becomes crucial for everyone not just us wimps with OOS elbows and wrists, so really appreciated the weight info. Been hunting for an under 2k laptop with large screen for a longtime. Hi, I'm trying to replace my 15 inchmac after that I have had for about 4 years. However, apple has gotten way too expensive with their 15 inchers so I was wondering which do you think is better the 15.6 360 spectre or the 15 xps? The XPS is faster, built on Intel HQ processors and with dedicated graphics. It's a great laptop, but you're payign premium or the looks and has its share of flaws. We have a review here on the site for more details. The Spextre x360 is built on slower Intel U processors and is a convertible. If you need a computer for everyday use (browsing, movies, texts, etc), both will do fine. For more demanding loads, I'd get the XPS or another laptop with a quad-core processors and 16 GB of RAM. Great list you've got there. So much choice for everyone. Or, at least, for almost everyone. I feel there's something missing. Not your fault, though. A machine I'd call "the 15-inch MBA". It'd have a core i5 8250u CPU, 8-16GB of RAM, 250-500GB of SSD, a 15-inch full-hd screen with small besels (like xps15) and a 80-90Wh battery. 2 TB3 ports supporting charging, 2-3 USB-A ports, card reader and headphone slot. Just that. No DGPU, no 2,5" HDD slot. That'd be my dream machine. Sadly, no OEM thinks it'd be profitable to build such machine. In the bigger body, there'd be space for a better keyboard, and the machine would run cooler than smaller ultrabooks. And I bet it could get into 1,5-1,7kg, which wouldn't be sooooooo much. Ok, enough with thhis rant. That sounds like a very solid option, and hopefully we'll see some devices that come close, but probably with much smaller batteries. I look forward for an updated version of the LG Gram 15, for instance. Not sure about other OEMs, as far as I can tell the KB-R quad-cores are mostly bundled with smaller laptops or entry level 15-inchers. Still, with Coffee Lake and Canon Lake in Q1 2018, we should see some interesting new options. Hi Andrei. Unfortunately, if OEMs keep doing what they've done these years, you're right. But if it doesn't get a bigger battery, it'd not be sooo interesting to me. If it gets just around 55-60Wh battery, I'd prefer the ux330ua or the xps 13 which also get the same battery but are smaller. About the LG gram 15, LG sacrifices everything just to market it as the lightest 15" laptop. For example, if asus or dell took the ux330ua or the xps13, made them bigger so they could fit a 15" screen and filled the space inside with a bigger battery, it'd be enough. If they put a slightly better keyboard on it, it'd be perfect. There are big, heavy, powerful laptops and there are smaller, not so heavy but still powerful laptops (like some MSI and Razer 14" which I don't remember the model names). So I don't understand why any of the OEMs sells a relatively light machine with the longest battery of the market. I would definitely buy this 15" ultrabook! Just wondering what is this "15in MBA" laptop name? Hi D Pao. It was just a name I made up to try to sumarize the machine I was thinking of. Something with a ULV CPU, no DGPU and loads of battery, like the 11" and 13" mackbook airs but with a 15" screen so it could fit a better keyboard and even more battery capacity, while running cooler than smaller laptops. I have owned four laptops since the late '90s: 1 Apple, 2 HPs and 1 Asus. I like the Asus I have now, but it's old, slow, and the screen has broken away from the body (!) so it's time for a new one. I have bought previous laptops by just going to a shop and explaining what I want and getting it. Now I'm reading so many online reviews that I'm at a standstill. As soon as I think I've decided on one, I read a review with cons that put me off. Maybe you can help. I use my laptop as my main computer, for personal and work business. The Asus I've had for about four or five years is Q501LA (mine doesn't seem to have the A on it), 15.6" screen. My main job is writing, so I want a keyboard you would recommend as 'excellent'. Just so it's easy to type. A good touchpad is good, too, but I usually use a USB mouse anyway. I had an HP that overheated so badly it burned my hands and I had to get rid of it. I am happy with this Asus as it stays cool, and there is never fan noise or noise of any other kind (also important). For work sometimes I have to have videos playing as well as about 15 tabs open in my browser. So graphics are more important now than they used to be. My computer hangs a lot these days. This screen is 'anti-glare' but not matte. It's also important the screen is clear and easy to read. I do not care if it's touch screen or not, or if it's a 2-in-1 or not. The reviews of yours I have read have led me back and forth to Lenovo Yoga, the Dell you seem to mention a lot (XP.. woops, forgot the number, brain fried), and Asus computers I've looked a lot at the ZenBooks, VivoBooks, multimedia laptops, basically the whole line. Then I read reviews and am confused again. Can you help at all? Feel free to email me privately or ask here for more information. I really appreciate your time if you can help. Sorry if I'm rambling. I've been at this for ages and feel like I've actually got TOO much choice. Oh, price max is around 1,500 USD, and it'd be nice to have a separate number pad, but not essential. I would like something relatively light. I don't travel a lot with my laptop, but occasionally I need to. Durable is good! PS… I don't want a gaming machine or one that has the look of a gaming machine (though I have been tempted by their specs!). I'm a writer/editor, not a gamer. I just have to access a lot of videos and websites at once sometimes. thanks! 1. The whole keyboard experience is very subjective. I for one prefer short travel keyboards lately, but with stiff clicks. Unfortunately each laptop OEM uses a few different keyboards on their machines, so I can't recommend a certain brand and be sure you'd like the keyboard. It's best you give these a try in a physical shop if possible, once you narrowed your options. 3. You don't need dedicated graphics if you don't play games. Try to narrow down your options from that list, read a few reviews, and get back if you need help selecting between a few final options. There's no perfect laptop, each has pros and cons, but some are better than others and your budget will allow you to pick one of the best models. Hope this helps. Andrei, thank you very much for taking the time! I'll have a look! thank you very much for your excellent review and listing such kind of laptops, I am very interested in Asus ux530, but when I want to enter the link I found Asus ux430, any help plz! This list is most impressive given the time you must spend compiling it. Thank you. Wonderiing if you can help me. I’ve been looking for over a year, and like someone said above, am worried I’ll buy the wrong one. I’m looking for a laptop that I can work remotely very part time with a couple of business clients, and then personal finance etc. I want a number pad as I do bookkeeping. Then would like ssd i5+, long battery life, and trying to stay under 1000. Can you help? I am planning to buy Dell XPS 13 i5 (7th Gen) for my daily use. I need complete portability along with good battery life. My use is going to be only browsing, drafting agreements on microsoft word and movies, etc. Suggest me is my choice good enough or should I consider any other laptops too? I am not considering the 8th Gen i5 processor since my usage is very less and I dont think I need that much of processor. I am REALLY considering the Samsung Notebook 9 15" (not the 2-in-1) i7-8550U for $1300 instead of the Dell XPS 15 because of the weight difference…. Do you think it is worth it? As a PhD in engineering who codes and writes a lot, I need a big screen and the 2.7 lbs Samsung offers is quite tempting… Battery life seems to better than the XPS 15 too. Could you tell something about the Samsung 9 15"? Thanks! Great work on this list! I don't have any experience with Samsung laptops lately, so no, I can't tell much more than you'll find online about this one. Great comparison. Though are you sure the version of the MX150 in the Lenovo 720s is the Max-Q version? Other users online have used diagnostic tools and it seems to come with the full powered version. Hi. You're right, the 720s gets the full-power version of the MX150. Thanks for pointing it out. I have a question about the screen size. I'm used nearly 6 years to a 15.6" inch screen, but noticed that 14" nowadays are really competitive and I can get the same specs and a slightly more portability. Which is good for me as a student. But I don't also go for a small one, cause streaming isn't nice on small screens. So my question is, shall I go for a 14 incher, even I'm used to a 15.6"? Will the difference gonna be big and noticeable, or wouldn't I even notice?! I'm really struggling with the size decision.. Does anyone know from experience what the latest and greatest XP-compatible laptop was (the Precisions by Dell spring to mind, but the Ebay parasites usually want £400 for these decade-old laptops), and I read repeatedly about XP netbooks — 14", 2GB RAM and 1.6 GHz or more is all that is required. Keep in mind: I manually approve each comment, this way I can attend to all your questions and requests. As a result, comments will usually appear online a few hours after you've posted them. There's no need to submit a comment twice, just be patient till I get to it. Thanks.